The conduit to make is easy to run network cable from the Network/Mechanical room to the front room is installed. See photos. 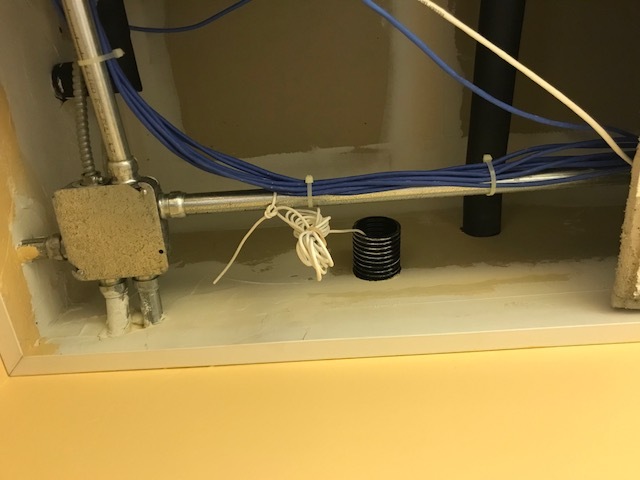 There is a pull cord in the conduit. Pull Cord use: There is no need to untie the cord - just tape the new wire to be pulled in either direction to the pull cord and pull it through. 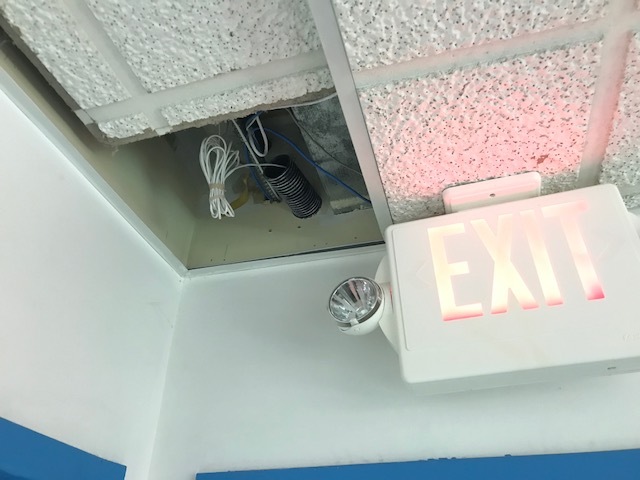 Return the cord to it’s original location. 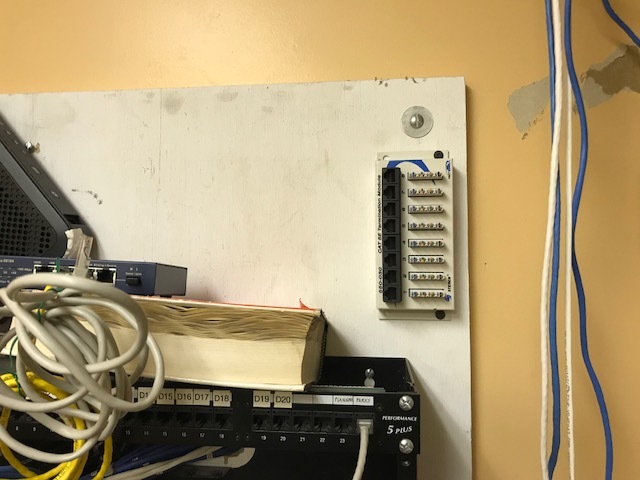 There is a punch -down block on the top right of the network mounting board to punch down any cat 5/6 cables. Please use the same wiring convention as the existing punch-down block (A/B) See Photo. Underneath the batteries is a Fake PoE injector for devices that need PoE like the camera and the front door lock. I believe our standard is 24V but double check the pin usage and voltage as Fake PoE “standards” vary. I’ll bring in some short (2’) cross connect cables. It would be good to run a new network cable that goes directly to the Dropcam on the exhaust hood. The Fake PoE reverse injector would be then closer to the camera. This would free up the Ethernet RJ45 Jack on the wall above the laser engraver and make things look a lot nicer. Jason has brought in some Cat 6 cable.